Really nice Mark Meek cutting saddle for sale. Used, but in excellent condition. 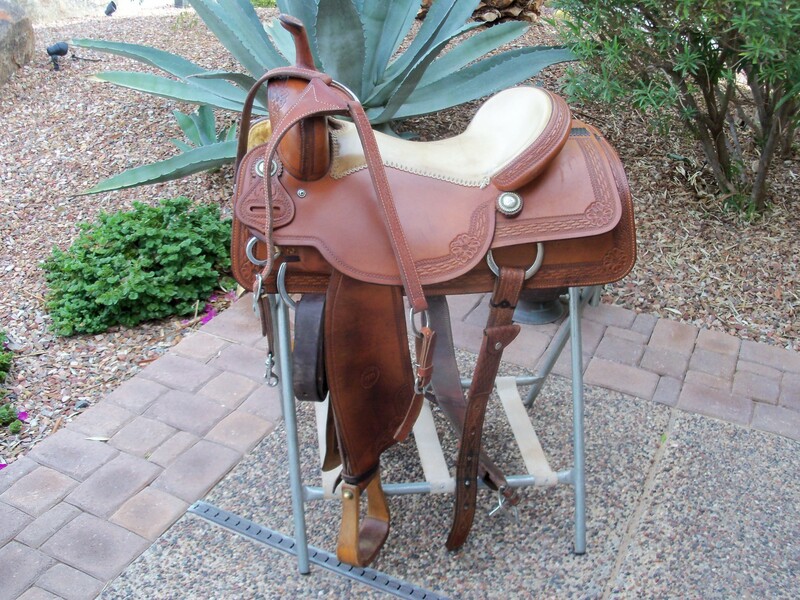 16" seat, 7" gullet, full gh bars, breast collar, back cinch, leather billet and latigo, mohair girth, wooden stirrups. Ask any questions. Great comfortable used saddle for cutting, cowhorse or trail. You won’t believe the quality of this saddle.